Taxpayers who haven't filed 2009 tax returns are missing out on federal tax refunds totaling $917 million. Taxpayers who haven't filed 2009 tax returns are missing out on federal tax refunds totaling $917 million, the IRS announced Thursday. 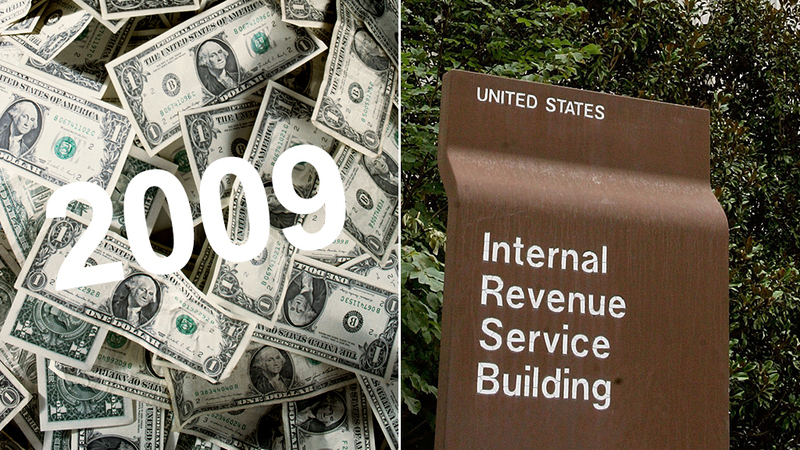 About 984,400 taxpayers haven't submitted returns for 2009, the agency said. Some people may not have filed because their income was low enough that they weren't required to, but they could still qualify for refunds if taxes were withheld from their paychecks. Even if taxes weren't withheld, certain credits like the Earned Income Tax Credit -- which can total nearly $6,000 -- are available for low-income taxpayers. And roughly half of the unclaimed 2009 refunds amount to more than $500 per person, the IRS estimates. But if you haven't filed yet, you're running out of time to claim your refund. 2009 tax returns must be submitted by April 15 of this year. If you miss that deadline, your money will be handed over to the U.S. Treasury. You won't be dinged with a late filing penalty if you're indeed owed a refund. But if you owe taxes for other years, your refund will first be applied to those amounts -- along with other debts like unpaid child support or past-due federal student loans. While you check on your 2009 tax refund, make sure you aren't owed any extra cash from the federal government or other organizations. There's currently more than $58 billion in unclaimed money floating around in the form of abandoned bank accounts, stock holdings, insurance payouts and pension benefits.